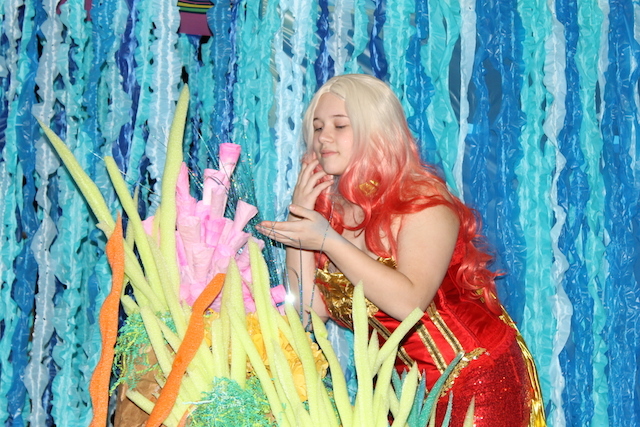 Sarah Clark sports her sequin-studded mermaid costume as she admires some coral. 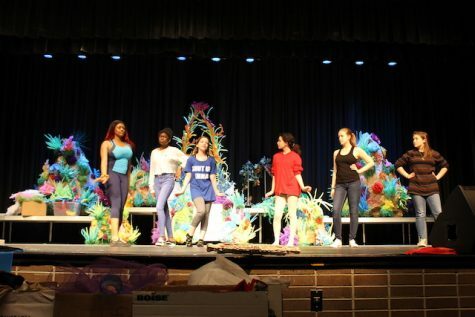 Since January, the Menchville Players have been hard at work rehearsing and preparing for their 2019 spring musical: The Little Mermaid. However, there’s much more to making a musical than just memorizing lines and music cues. 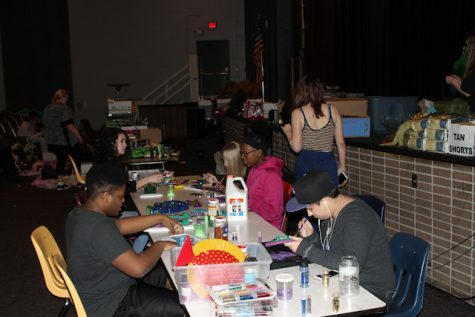 Under the direction of beloved drama teacher Courtney Rice, and with the help of the theatre classes and dedicated stage crew, the drama department has created magnificent set pieces and costumes for this year’s show. 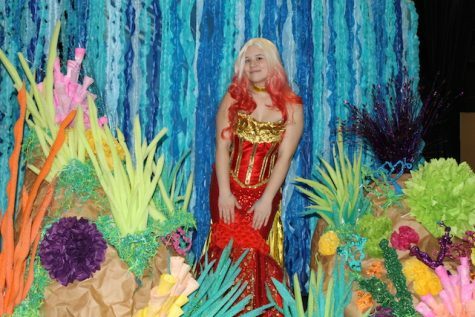 Sarah Clark poses in her costume for Ariel’s sister, Aquata. 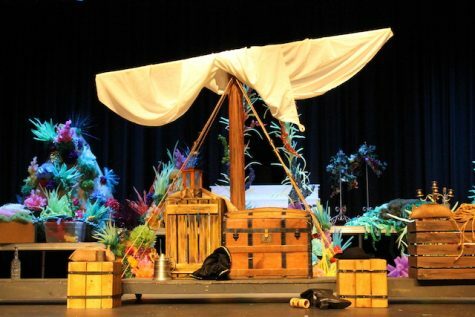 The Menchville Players complete the construction of the ship for Prince Eric and his crewmates. Ariel’s sisters rehearse their scene together. 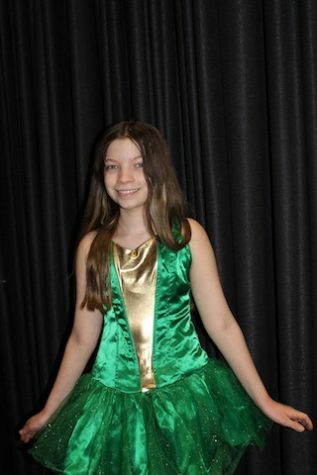 Kayla Borcynski poses for a picture in her turtle costume. Building the sets and costumes for a show this spectacular is a long and intense process, but the Menchville Players are up for the challenge. Many of the students have sacrificed their Saturdays to come in and work. 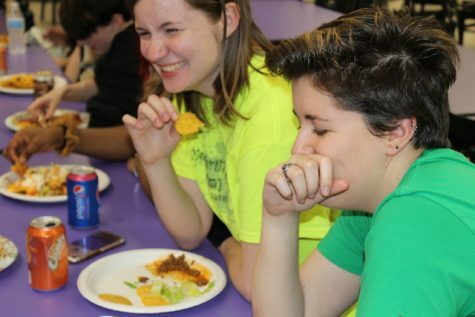 The Menchville players socialize while adding glitter to fish props. 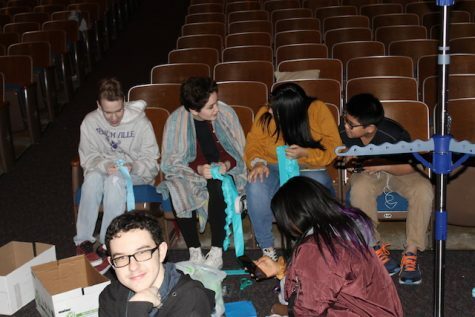 Drama students pull apart streamers to create water for ocean backdrop. After hours of hard work during tech week, the Menchville players break for dinner. These light, intimate moments amidst a stressful day are great for cast bonding. 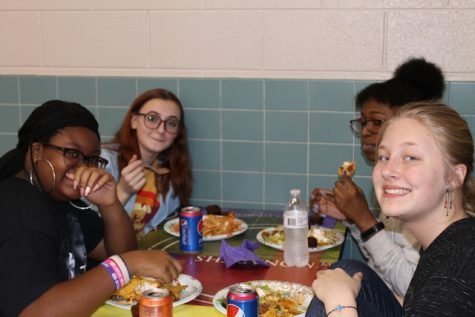 During tech week, the Menchville players break for dinner. 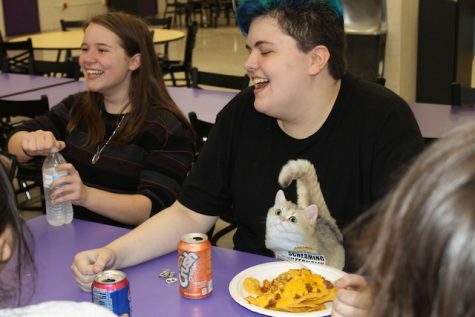 Elena Amundson and Jax Warner eat and socialize together during a dinner break. 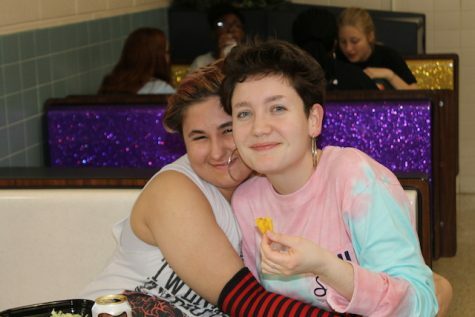 Max Spady and Kelly Ritenour enjoy their dinner together and pose for a picture. Sarah Clark and Adam Dunlap spend time joking around with the rest of the cast. The cast and crew of The Little Mermaid are more than excited for their upcoming show. If you’d like to witness this dazzling performance for yourself, the dates are (Thursday – Saturday) April 18th, 19th, and 20th, as well as (Thursday – Saturday) the 25th, 26th, and the 27th. The show starts at 7:00 pm, and tickets are $10 at the door.